I thought I would add a new segment into my site by featuring some classic weird science fiction and fantasy episodes from television shows that I’ve researched for the benefit of my Numenera campaign. So far the ones that I’ve really taken to are The Twilight Zone, The Outer Limits and Night Gallery; shows that encapsulate the weird, strange and beyond. The early 60s to early 70s must have been a fantastic time for science fiction and fantasy fans as anthologies of those genres made their way into the black and white television sets of America. Without a doubt, Rod Serling’s groundbreaking Twilight Zone (1959-1965) was the show that successfully realized the potential of science fiction and fantasy on television, and gained an audience not only from fans of the genre, but the casual viewer as well with its quality stories and twist endings. Not far behind Twilight Zone in popularity, was The Outer Limits (1963-1965), a show that had more focus in the science fiction realm, but nevertheless had its own voice and was not a direct copycat of Serling’s show, thanks in part to the efforts of creator Leslie Stevens, and producer and writer Joseph Stefano, who was well known at that time for writing the screenplay for Alfred Hitchcock’s Psycho. 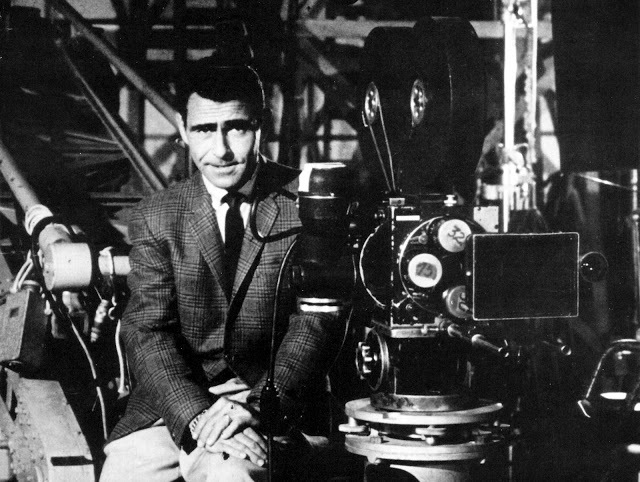 Rod Serling would come back to fantasy TV in 1970 and create Night Gallery (1970-1973), a series that featured stories of horror and the macabre, but was not well regarded as well as Twilight Zone or Outer Limits, due to Serling not having creative control over the series, and producer Jack Laird’s idea of adding horrible humorous segments in the second season. However bad the series was, there are some fantastic stories that could stand head-and-shoulders with the best Twilight Zone episodes. “The Cemetery” was the first segment of three in the Night Gallery’s pilot that aired on Nov. 8, 1969. 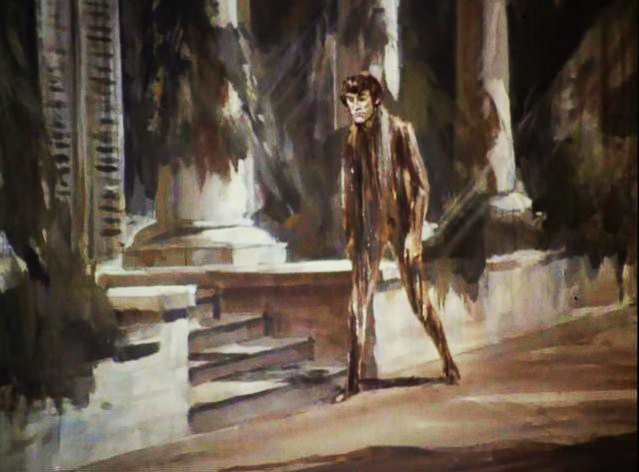 As with all segments, Serling introduced the show by walking into a painting gallery and talking about one of the paintings that would have something to do with the segment. The episode, written by Serling, involves a man (played by Roddy McDowall), who kills his uncle in order to inherit his house and fortune. Following the uncle’s demise, the nephew notices a painting inside of his uncle’s house depicting the nearby cemetery that changes from time to time. It appears that his uncle has decided to exact revenge from the grave…or has he? The situation is made even worse, when the uncle’s butler leaves the home after constantly being berated by the spoiled nephew. So far I’ve seen several episodes of this series, and I would recommend this episode to new viewers, and those who are looking for more fantasy/twist ending episodes in the vein of the Twilight Zone. There’s a lot of suspense and drama in “The Cemetery” and has an absolutely frightening ending, where one of the best types of horror is the unseen. On the other hand, if you wanted to see the terrifying and grotesque up close, there was no other show that could make that happen than The Outer Limits, where Stefano would showcase a “bear” or monster in each episode. The Zanti Misfits, written by Stefano, may have arguably featured the most popular creatures of the series’ entire run. The story centers around the planet Zanti where its rulers don’t know what to do with its criminal population, and contact the earth in order to help them out with their problem. The U.S. obliges the Zanti’s request to have the ship full of criminals land in an isolated area of the country where a group of Air Force personnel await the ship’s arrival. Of course something goes awry in the form of a curious and irritating couple who throws a wrench into the whole plan. All hell breaks loose with a terrifying and well-done (for the time anyway) showdown between the misfits and the Air Force base that could mean an interplanetary war between earthlings and the Zanti. The twist ending is a bit anti-climactic for my tastes, but provides a meaningful lesson for the survivors of the Zanti Misfits. The Twilight Zone often featured stories of morality or lessons learned, but I think some of the best episodes I’ve seen so far are the ones that leave the protagonist lost forever, and leaves the viewer with a sense of dread. 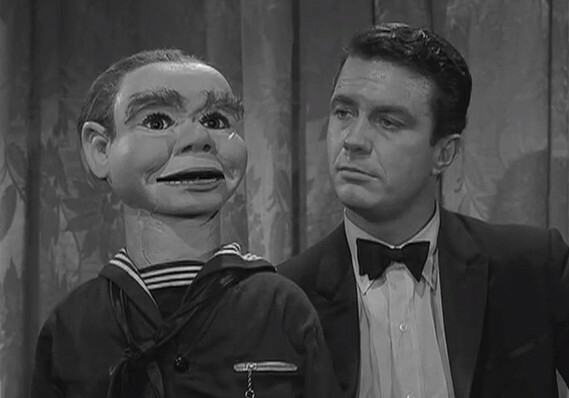 One such episode is “The Dummy” written by Serling about a ventriloquist named Jerry Etherson, played by Cliff Robertson, who is beyond doubt that Willie the dummy is alive, and can’t seem to get away from him. In the beginning of the episode, Serling infers that Etherson is perhaps seeing things thanks in part to his drinking habits. But as the episode plays on, we get brief glimpses of either Willie moving or talking in Etherson’s head. Is Etherson just crazy or is there something really to it? 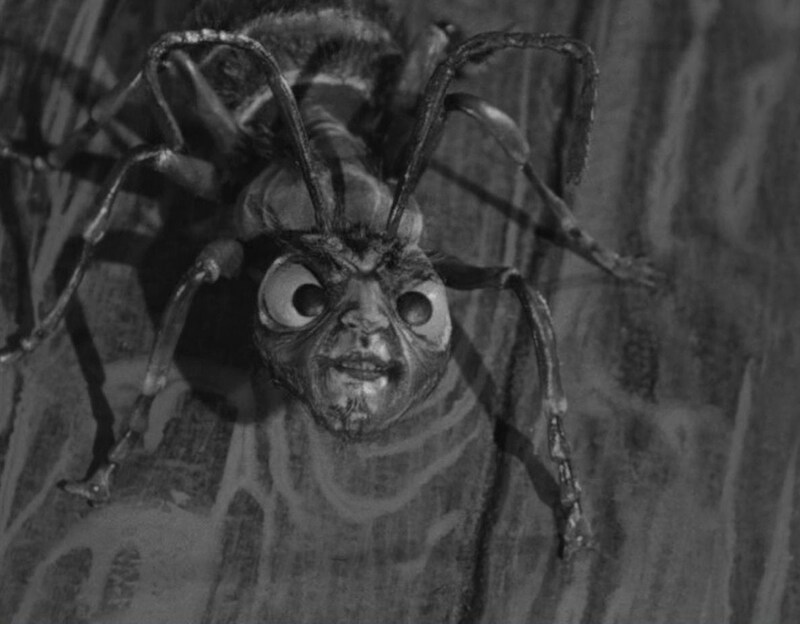 The ending of the episode must have scared the hell out of kids in 1962, because it’s still creepy and absolutely fantastic.